Lonely Planet will get you to the heart of CroatiaIf your Mediterranean fantasies feature balmy days by sapphire waters in the shade of ancient walled towns, Croatia is the place to turn them into reality. 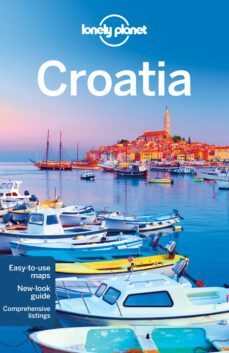 Inspirational images, city walks and recommendations from our expert authors.Planning features and top itineraries to help you plan the perfect trip.Local secrets and hidden travel gems that will make your trip unique.Plus information on Croatia’s regional cuisine and the region’s natural environment. Coverage includes:Planning chapters, Zagreb, Zagorje, Slavonia, Istria, Kvarner, Northern Dalmatia, Split&Central Dalmatia, Dubrovnik&Southern Dalmatia, and the Understand and Survival guide chapters.